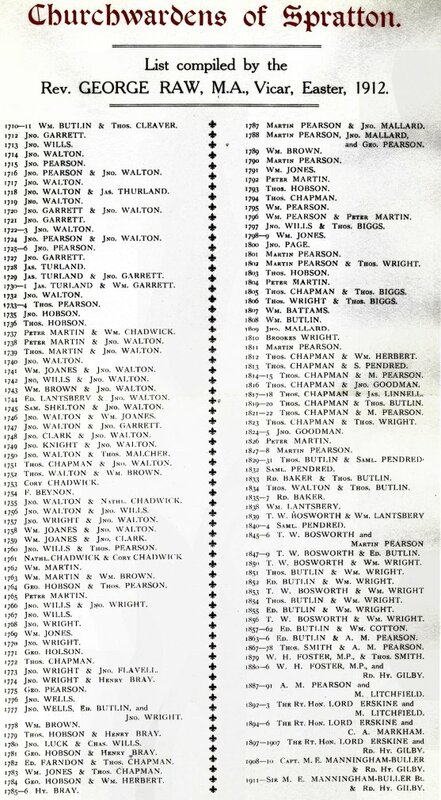 1912 - Churchwardens of Spratton from 1710 - 1911. 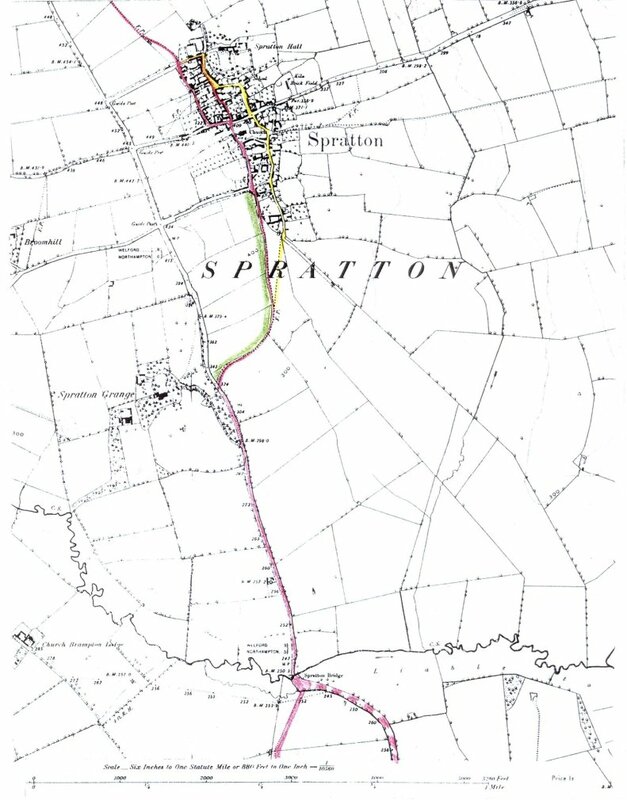 Map showing the roads into Spratton from the south, prior to the second half of the 18th century (when the Turnpike road would have been built - now the A5199). 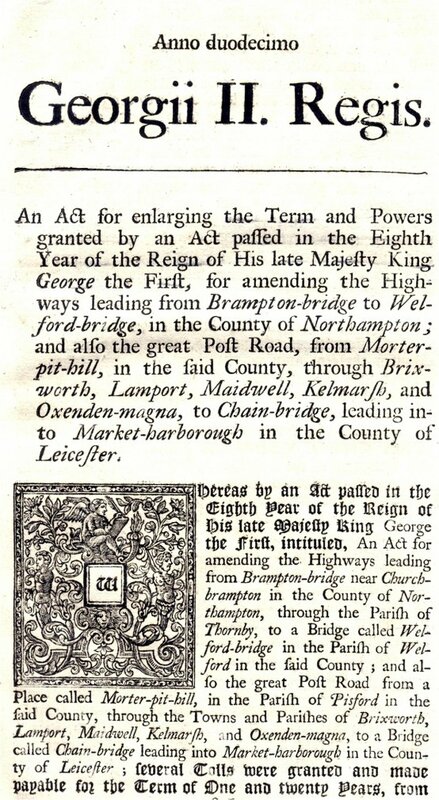 High Street would then have continued north to Little Creaton (originally part of Spratton until 1884, then part of Creaton, now no longer exists), and on to Creaton. 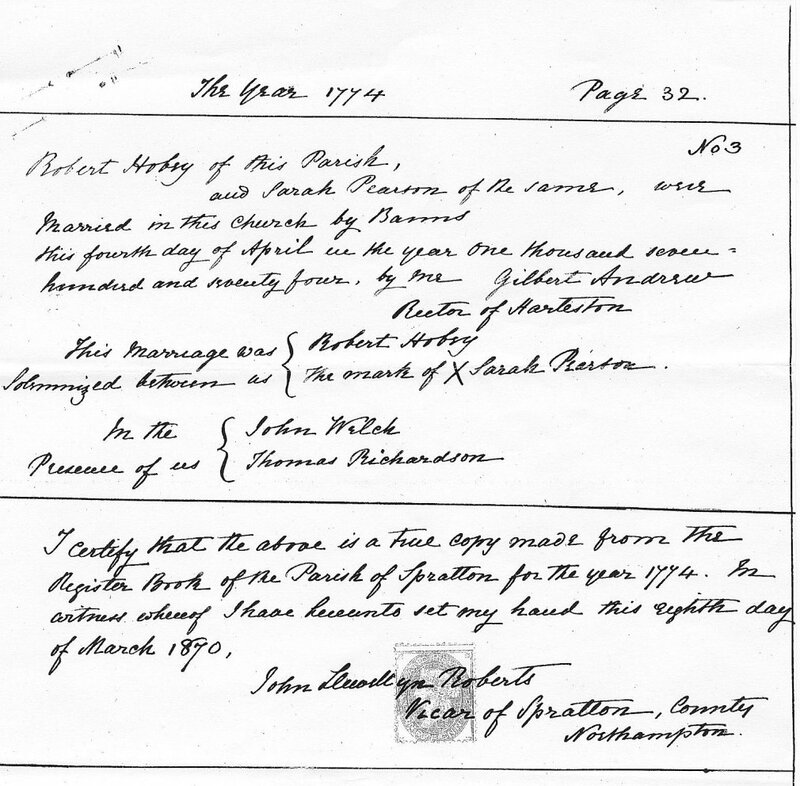 Certified copy, made in 1870 by Rev John Roberts vicar of Spratton, of the Spratton Parish Register recording the marriage in 1774 of Robert Hobey and Sarah Pearson, both of Spratton. 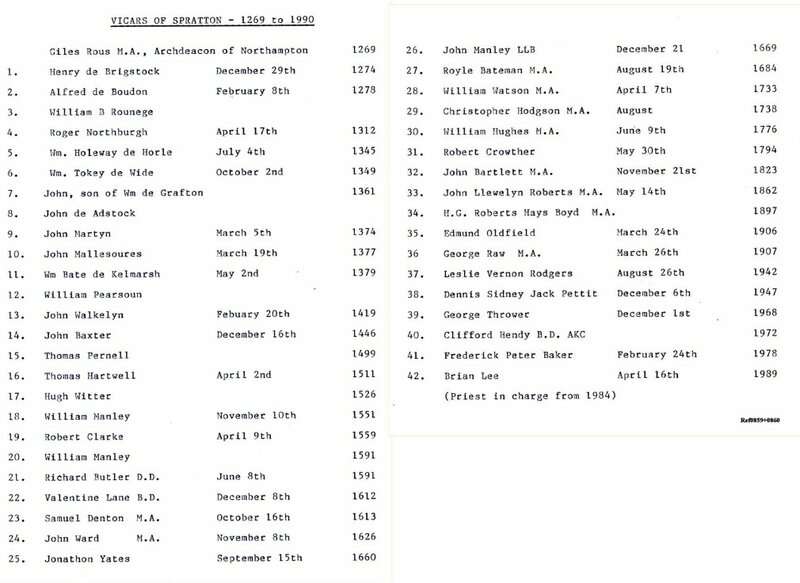 The marriage was solemnized by Gilbert Andrew, Rector of Harleston, on 4th April. 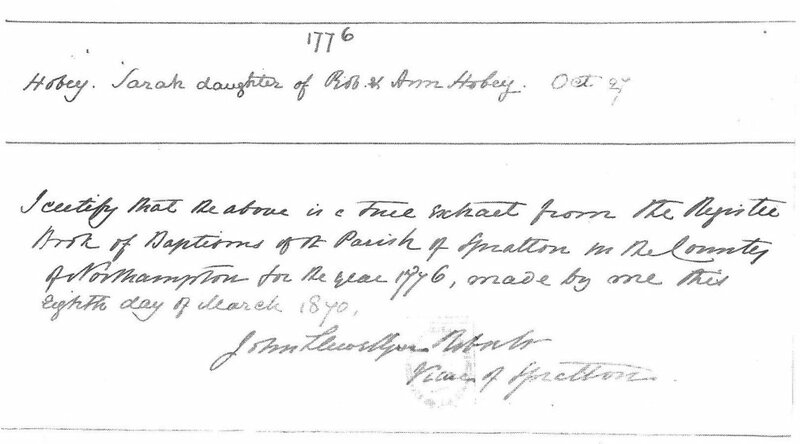 Certified copy, made in 1870 by Rev John Roberts vicar of Spratton, of the Spratton Parish Register recording the birth on 27th October 1776 of Sarah Hobey - parents Rob and Ann Hobey. 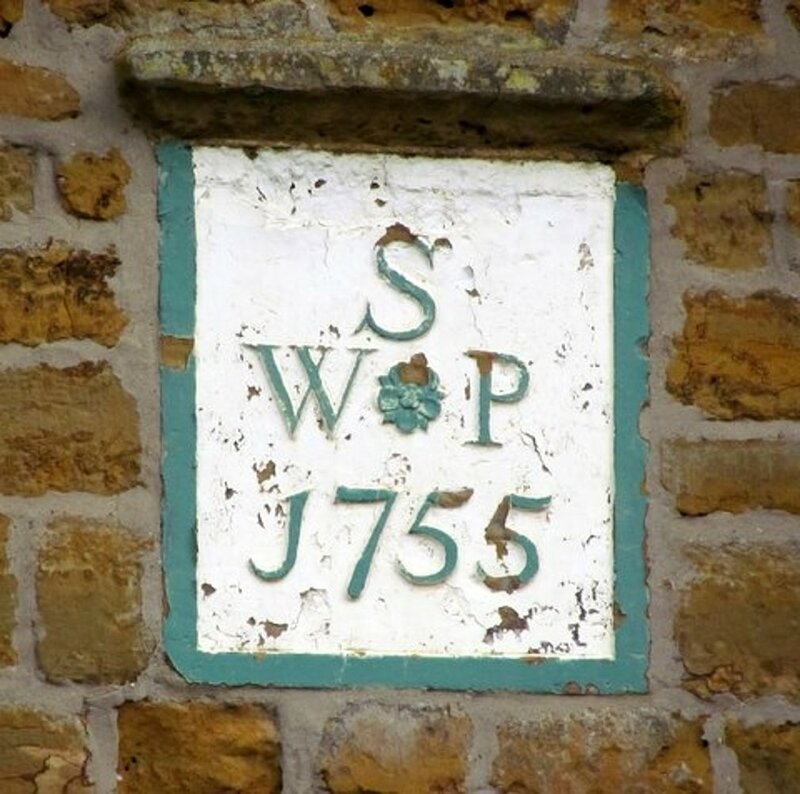 Map showing these 'awards' in the Spratton Grange part of the village. 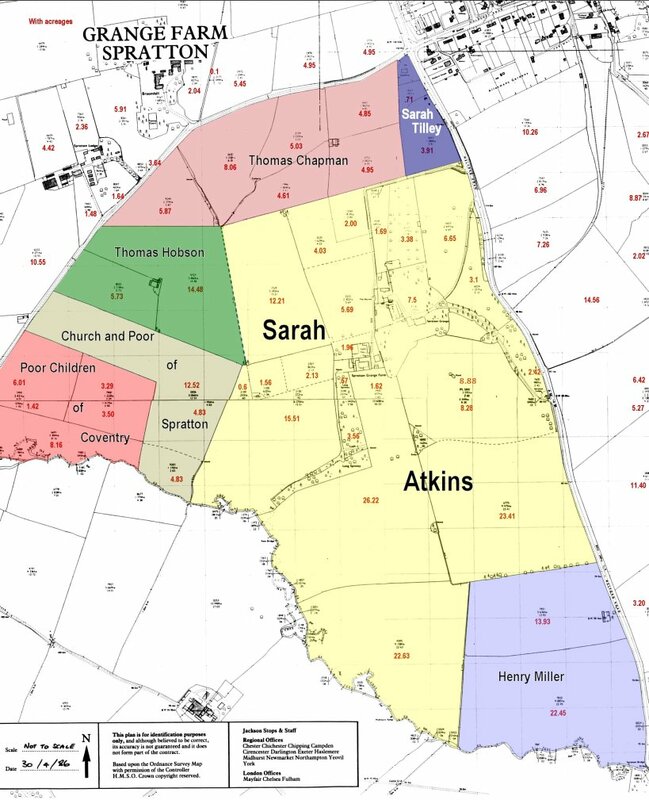 Trustees for the Church & Poor of Spratton 28.8 acres*; outlined in turquoise, Trustees for the poor children of Coventry (Bablake Boys), by will of Samuel Collins, 22.85 acres. * This was the original allotment location. In 1892, W H Foster sought approval from the Board of Agriculture (against some opposition by Spratton residents) to exchange this land for the current allotment land.